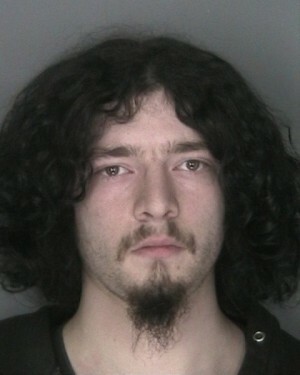 OSWEGO, NY – The Oswego City Police Department has made another arrest as a result of the search warrant executed March 4 at 8 Niagara St., which also included “The Pet Store,” 388 W. First St.
On March 21, at 1:15 p.m., James W. Libbey-Stone, 23, of 34 E. Albany St., Oswego, was arrested and charged with third-degree criminal possession of a controlled substance, a class B felony. Libby-Stone was arraigned in Oswego City Court, and subsequently released on his own recognizance. He is to appear in court date April 26. At approximately 5:54 a.m. March 4, city police executed a search warrant at 8 Niagara St. That search warrant also included ‘The Pet Store,’ a business located at 388 W. First St., which is adjacent to 8 Niagara St. The search warrant was the result of an ongoing police investigation into illegal drug activity. As a result, Richard J. Lockwood Jr., 40, was charged with third-degree criminal possession of a controlled substance, a class B felony; third-degree criminal possession of a weapon, a class D felony; fourth-degree criminal possession of a weapon, a class A misdemeanor and seventh-degree criminal possession of a controlled substance, also a class A misdemeanor. The investigation is continuing, with assistance from the United States Drug Enforcement Administration. Arrests of co-conspirators may be forthcoming, as well as additional charges at the federal level.